This book provides an enjoyable and accessible overview of the field of gerontology including key theories and the evidence underpinning them. It also encourages the reader to reflect on personal implications. The opening chapter outlines some of the myths associated with aging. It provides a historical overview of how people have viewed later life and their older selves. 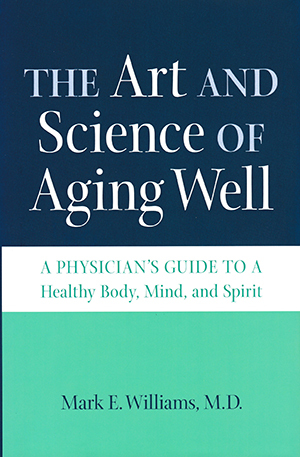 The second chapter provides theories on why we age, considering the role of diet on the aging process. The focus on a specific activity sets the tone of what is to come. Later chapters consider other components of living, in particular the physiological, cognitive, psychologcal and spiritual dimensions of aging. A final section provides notes on each chapter including pointers to studies referred to in the text. This book would sit comfortably in the science genre, being both enjoyable and accessible in covering the theoretical and empirical. It would make for an excellent taster on the subject of gerontology for anyone starting studies in that field. The manner in which the book’s author personalises the subject matter is thought-provoking. Suggestions made for example around healthy eating would not be a surprise to readers of Nursing Standard, but encourages reflection. The book makes for enjoyable reading and will appeal to anyone interested in gerontology and how its broad ideas apply to everyday living.